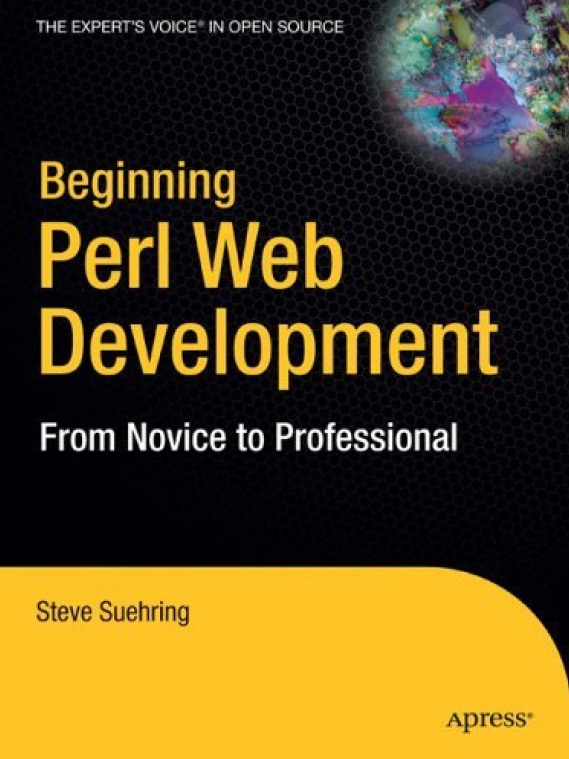 This book attempts to give readers who have learned some Perl a grasp of the concepts and considerations for programming for the Web or creating a Perl program that interacts with the network. This book is fairly Linux-centric. That’s not to say that these programs won’t run on a Windows platform—they will, with very little tweaking. The book is divided into five parts. The first part covers what comes to mind for many people when they think of Perl and web development—namely, CGI development and database interaction. The CGI module is examined, and I present tips for programming CGIs, such as the Carp module for debugging. The second part of the book widens the focus into Internet interaction with Perl. The Net:: family of modules is covered, along with the LWP for retrieving web pages through Perl. Coverage of XML and RSS make up the third part of the book, where you’ll learn about XML parsing through Perl, consumption of SOAP web services, and RSS feeds. The fourth part of the book looks at mod_perl for development. The fifth and final part of the book examines templating through the Template Toolkit and HTML::Mason.